Let Me Help You Get Out of Identity Theft Hell! If you’re like other victims of identity theft I have worked with, your initial outrage and anger have been replaced by feelings of helplessness and frustration. Just when you think you have it sorted out, something else pops up to remind you that it’s not over. If you are being contacted by a collection agency about debt that is not yours, don’t despair. Click here to get free help from me today. I know you’re feeling overwhelmed and desperate, but I can help. 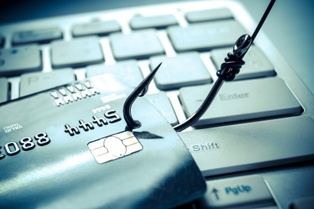 How Can A Consumer Financial Lawyer Help Get You Out Of This Identity Theft Mess? When you are contacted by a debt collector for a past-due account that’s not yours, you may be in one of two stages. Either you already knew that your identity was stolen and you have been dealing with it for months—filing a police report, contacting credit reporting agencies, canceling credit cards, etc., or this is your first indication that your identity was stolen . Either way, now is the time to get in touch with me. I can make sure the debt collector stops contacting you and that the past-due account is taken out of your name. The most important thing to remember is that YOU ARE NOT RESPONSIBLE FOR DEBT IN YOUR NAME DUE TO IDENTITY THEFT! Period. You have suffered enough. Let me take it from here. Inform the debt collection agency that your identity was stolen and that this debt is not yours. Provide them with proof of your identification and your FTC Identity Theft Report. Request that the debt collector stop collection proceedings and stop contacting you about the debt. Request that the debt collector inform the original creditor that the debt was the result of identity theft. Once I do this, the debt collector is obligated to leave you alone. I will also stop the debt collector from selling the debt on to another collection agency—which would start this process all over again! To do that, I will inform Experian, Equifax, and TransUnion that the account listed on your credit report was opened by an identity thief. They are then obligated by law to inform the debt collector, who will be barred from selling or transferring the debt. The debt collector is also required to inform the original creditor that the debt is fraudulent. Is All Of This Identity Theft Information Too Much To Handle Alone? I get it. This legal stuff is confusing and overwhelming. But when you call me, I will provide you with all of the forms and instructions you need. And I won’t charge you a penny! How is that possible? Well, in many of these cases, the debt collector or credit reporting agency has violated the law in handling your account and owes damages. If that’s the case, I’ll file suit and I won’t get paid unless you win the suit and collect damages. End your suffering now. Fill out the form here, and I will send you everything you need to know to end your identity theft nightmare. I will also put you on my call list and follow up with you to answer any questions you have. Identity theft wreaks havoc on people’s lives, but you don’t have to suffer alone. Reach out to me today to start finding solutions. Still not sure? Read what other Californians have said about me on my testimonials page. Many of these people had their debt collection problems solved at absolutely no cost to them, and some even found out they had a claim for damages. Either way, they are extremely grateful for the help I was able to give them—and I am happy to have been able to help. You have nothing to lose—contact me online today or call me directly at 855.982.2400 and get out of ID theft hell!